A compact high-accuracy compass for hiking and orienteering, the luminous bezel and markings make it ideal for navigating in poor visibility. 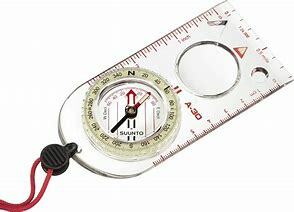 The A-Range of recreational compasses is a series of handy, well designed, navigational aids which are assets in any environment. All four models in the series (A-10, A-20, A-30L and A-40) are compact, high-accuracy instruments made from durable, clear, scratch resistant acrylic that have been ergonomically designed to fit into the palm of your hand for optimum ease of use. These light-weight compasses feature a fixed declination correction scale as well as a patent-pending lanyard snap-lock enabling the compass to be easily detached from the lanyard.